At the SanFran MusicTech Summit last week, Terry McBride continued to beat the drum for streaming music versus downloading media. He argues that mobile devices will enable us to listen to anything, anywhere, thereby obviating the need to select and store music ourselves. I respect McBride and what he’s done with Nettwerk tremendously. But, at least at the moment, the streaming-only model of music has some significant challenges. Streaming requires an always-on connection. Some places where I’ve listened to music in the last couple of days: At my desk. On the highway. In my apartment. Somewhere in the Snoqualmie-Mount Baker National Forest. In the weight room of my gym, which is in its basement. Only two of these places have a reliable connection to the outside world. It was pointed out (by Robb McDaniels, I believe) that you can always push music to a device faster than you can listen to it, which means that you have a buffer. Of course, this seems to defeat one of the few advantages of streaming: that you can select music spontaneously. Bandwidth is a much scarcer resource than storage. Raise your hand if you think that we have lots of wireless bandwidth to go around. Now raise your hand if you think that that we’re near the lower limit of memory storage size and price. You over there, doing the Superman impersonation, put your hands back on the keyboard and go learn about the tragedy of the commons and Moore’s Law. If I want to listen to the Hold Steady and Malcolm Middleton cover of Bryan Adam’s “Run to You” a hundred times (and I do), I can download it a hundred times and save the storage cost, or I can download it once and not have to worry about bandwidth and a connection. And frankly, I much prefer the solution where I’m paying the cost of storing the music on my nth generation iPhone rather than making everyone else share the cost by wirelessly streaming it everytime I want it. I don’t trust the music companies. Unfortunately, there isn’t a technological fix for this one. 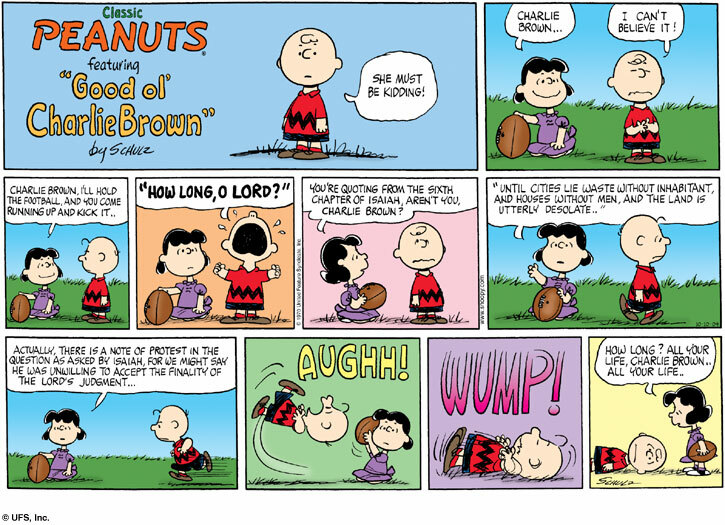 After a decade of RIAA, DRM on iTunes, and more, we’ve been Charlie Brown to the music industry’s Lucy a few too many times. I don’t trust them to not yank the football of my music away from me – it’s as simple as that. I’m happy to stream music, especially when it’s well-curated and new (thank you, KEXP). But if I’m ever going to want to listen to it again, I want a physical copy or an unrestricted digital copy. I want to own it – to have unrestricted, irrevocable access to it indefinitely, so I can listen to it without EULAs or unilaterally-defined ToS. What do you think? Am I hopeless Luddite, clinging to the notion of music as property when I should be embracing the Great Big Jukebox in the Sky? Has the ability to stream music changed your buying habits? Let us know in the comments.